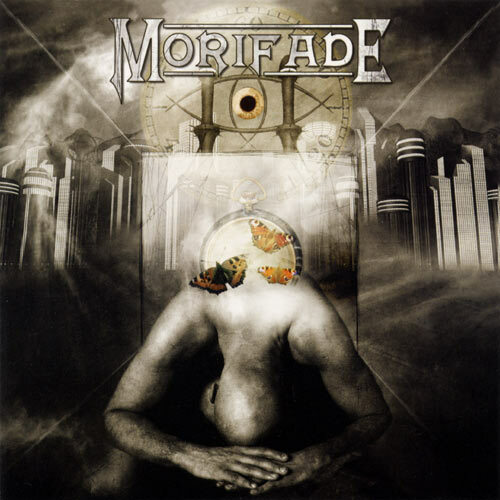 Morifade is a Semi-Progressive/ Power Metal band from Sweden. The band was originally formed in 1992 (under the name Gothic) by Jesper Johansson, Fredrik Johansson and Kim Arnell, shortly thereafter joined by Henrik Weimedal. In late 1996 Christian Stinga-Borg joined the band as new vocalist and after a local gig Morifade was signed to the new started label Loud N’ Proud Records. 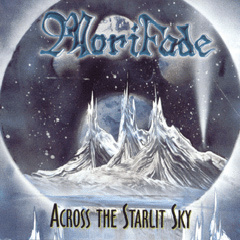 The MCD “Across the Starlit’ Sky” was recorded at Guja Studio in Linköping, Sweden in the end of 1997 and released in early 1998. Then in early 1998, Christian had to be replaced due to the chemistry between him and the rest of the band. After getting a tip from a friend about a very talented singer Christian was replaced and Morifade found a new one in Stefan Petersson. During the writing process of the bands first album also Fredrik had to leave the band due personal issues. The band decided to record the album as a quartet. 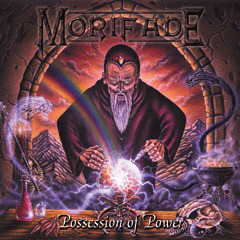 The first full-length album “Possession of Power” was recorded in different sessions between June and August in 1999 at Wet Paint Studio in Norrköping, Sweden and released in November the same year. The press praised the album and it was given tremendously good reviews from all over the world. Some months after the release two new members were found in Fredrik Eriksson (ex- Tad Morose) and Adrian Kanebäck (ex- Nephenzy). With this line-up Morifade also began to gain a lot of gigs both in Sweden and Europe. 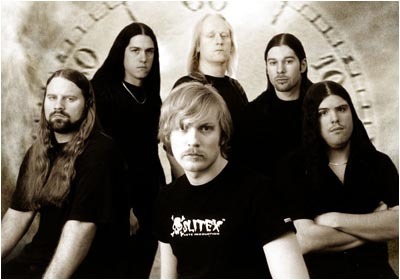 In the month of May 2000 the band entered the Los Angered Recording Studio with owner, engineer and producer Andy La Rocque (well-known from King Diamond). This time to record some songs for a new MCD entitled “Cast a Spell” and “Judas”, a cover song for a tribute to Helloween (The Keepers of Jericho Part I). After the recording several major problems began with their label and the band decided to leave immediately. 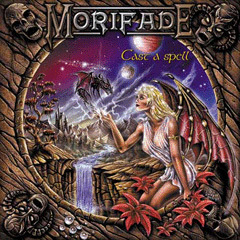 Besides the writing of new material for their second full-length album, Morifade was now in search for a new record label. Promo-CD’s was sent over the world and the band was in contact with many great labels. Finally the band decided to sign with Hammerheart Records (Now Karmageddon Media) in The Netherlands. During this time Adrian left the band in lack of interest and due to personal issues. The band soon found a replacement in Kim’s younger brother Robin Arnell. In July 2001 the recording of the second full-length album “Imaginarium” started. Satisfied with result of the last MCD the band entered the Los Angered Recording Studio again. The recording was finished in August but due to some re-mixes of the album it wasn’t released before April 2002. Even this album got really good response from the world. 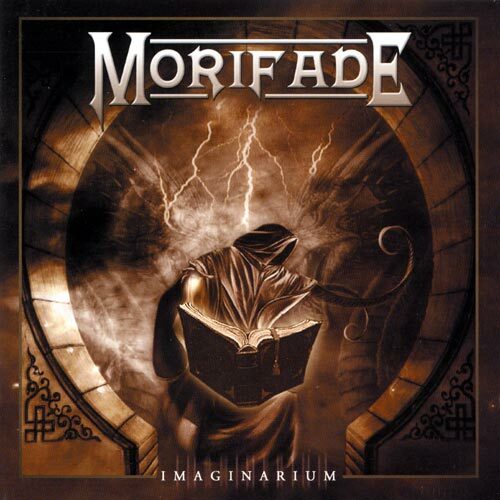 With “Imaginarium”, Morifade was for the first time introduced to the Japanese audience. The company King Records released the album in Japan. The recording of the new album DOMI<>NATION took place for the third time in Los Angered Recording studio, it started in January 2003 and ended with the mixing in April the same year. However, all vocals and choirs are recorded in a studio called Monogram Recordings in Stockholm. This album is heavier than any of the albums that Morifade have released before. It’s a concept album based on two novels, “1984” by George Orwell and Brave New World by Aldous Huxley. Briefly, the concept is about the surveillance society that we’re approaching more and more. DOMI<>NATION is released in January 2004. In mid 2004 Stefan decided to leave Morifade, he was soon replaced by Kristian Wallin.